Have some fun with your scraps! We all have them and here is a fun way to use them up. All you need is 1 1/2" strips, a lot of them and some complimentary background fabric that helps accent all the colors of your strips. 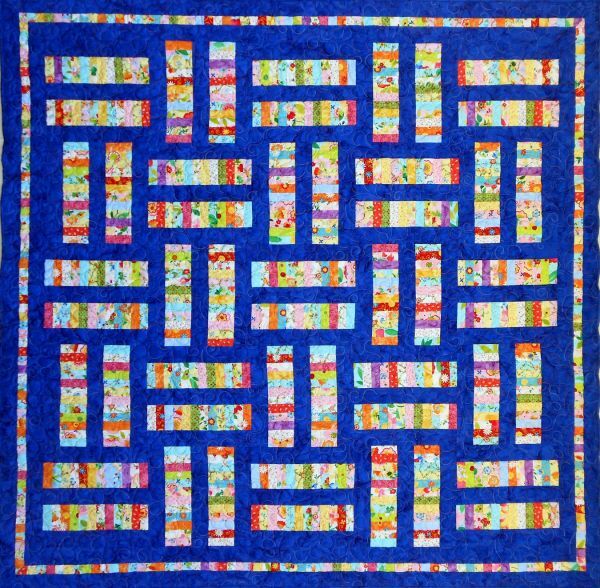 This is also a great quilt to make when teaching someone how to quilt. It is all straight 1/4" seams, and a lot of fun!